Big movements in state legislatures across the U.S. about new renewable energy technologies (electric vehicle charging infrastructure in Maryland & battery storage in Colorado); a Hawaiian university is moving to become the first 100% renewable campus; movement on an electric utility nuclear power plant bill in Minnesota that is slated to benefit utility shareholders; and an Indiana utility’s legislator friends are giving them a hand. Renewable energy is getting cheaper and more popular, even among Republican voters, and that makes now a better time than ever for conservative candidates to support clean energy policies. That was the message at this week’s annual Michigan Conservative Energy Forum conference in Lansing, where Republicans rallied around renewable energy and free-market principles. The group formed in 2013 and has since spawned a 20-state coalition seeking a seat at the clean-energy table long dominated by liberal and environmental groups. The bill is sponsored by Sen. Andrew Mathews (R), who says the measure would simply allow Xcel to know earlier if it can recover expenses for upgrades required at its three nuclear units. The original bill was modified, following concerns raised by Xcel’s large customers, renewables advocates and the Minnesota Chamber of Commerce, to bolster input from the commission. John Farrell, an initiative director at the Institute for Local Self-Reliance, said the bill was “galling” in light of past cost overruns. “After public regulators held their shareholders accountable for the mismanagement at Monticello, Xcel Energy wrote this bill to make sure shareholders win no matter the cost to Minnesotans,” he said in a statement. Utilities in some states have tried to block battery systems, which can present safety concerns but which also reduce their control over the grid. A few years back, Xcel Energy, Colorado’s largest utility, proposed different rates for customers with battery systems, which the solar industry opposed, Cantwell said. On Thursday, Gov. John Hickenlooper signed Senate Bill 9 into law, making Colorado one of the first states in the country in which utility customers have a right to store energy. In 2015, the state of Hawaii committed to converting 100% of its energy supply to renewables by 2045. It’s a steep undertaking, and one that will involve utilities coordinating resources across a network of grids that span the island. And at the same time, the Hawaii Legislature and the University of Hawaii system established a joint goal: The entire university network, which comprises 10 campuses across the islands, will be “net zero” by 2035, meaning that the system would generate as much renewable energy as it consumes. And now by 2019, UH’s Maui College will be among the first campuses in the nation to generate 100% of its energy from an on-site solar installation, coupled with battery storage. The Future Energy Jobs Act, which catapulted Illinois to the forefront of the clean energy movement, includes an ambitious directive for electric utilities to get 25 percent of their power from renewable resources by 2025. To achieve that, the Illinois Power Agency has been developing a Long-Term Renewable Resources Procurement Plan (the Plan) based on workshops and input from stakeholders, including Environmental Defense Fund (EDF). The Agency filed the Plan in December 2017 for the Illinois Commerce Commission’s approval. 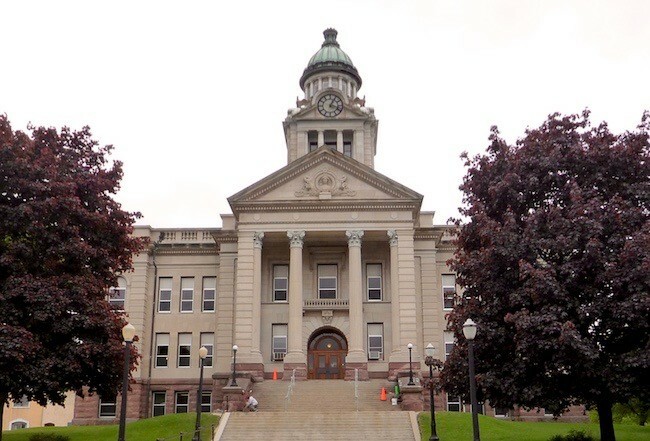 Following several more rounds of comments, it is now up to the Commission to make its final modifications to the Plan before approving it on April 3. Add the former head of Kentucky’s Public Service Commission to those opposing a bill that would dramatically alter the relationship between people with rooftop solar power and their electric utilities. Lexington attorney James Gardner told a key lawmaker in an email that House Bill 227 was confusing and would prevent the commission from considering any benefits of solar power in deciding how much credit rooftop solar customers would get for any extra electricity they generate. Baltimore Gas and Electric (BGE), a subsidiary of Exelon Corp. and Maryland’s largest natural gas and electric utility, will deploy two new 40-foot Proterra Catalyst E2 battery-electric buses to shuttle employees between BGE’s headquarters in downtown Baltimore and its Spring Gardens campus in south Baltimore. 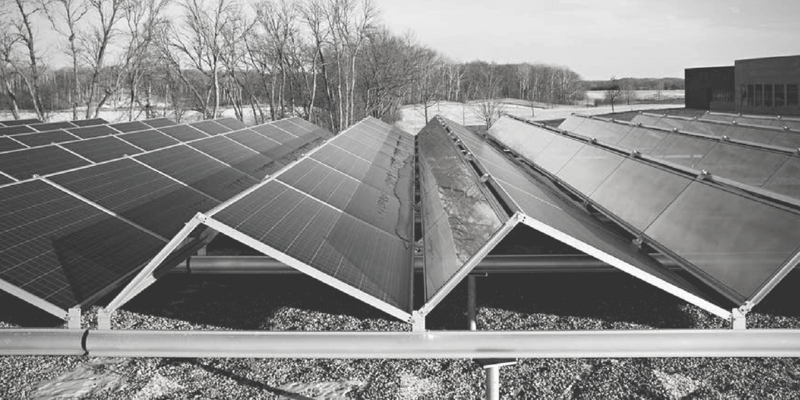 Minnesota, however, stood out as a major exception, with strong growth continuing thanks to its community-based, subscriber-funded “solar garden” program. A year-in-review analysis of 2017 by the Solar Energy Industries Association, published last week, found that 10.6 gigawatts of new sun-powered electricity came online. That marked a second consecutive year of double-digit growth, and was generally in line with the decade’s overall trend. Of all new electric generating capacity added last year, 30 percent was solar-powered – more than any source except natural gas. The village board has passed a resolution to pursue the installation of an electric car charging station in the village — in time for summer tourists who flock to the mountain. Butler County’s largest city, already known for its green energy — with ownership of three hydroelectric generators on two rivers — now can become a bit greener with its electricity. 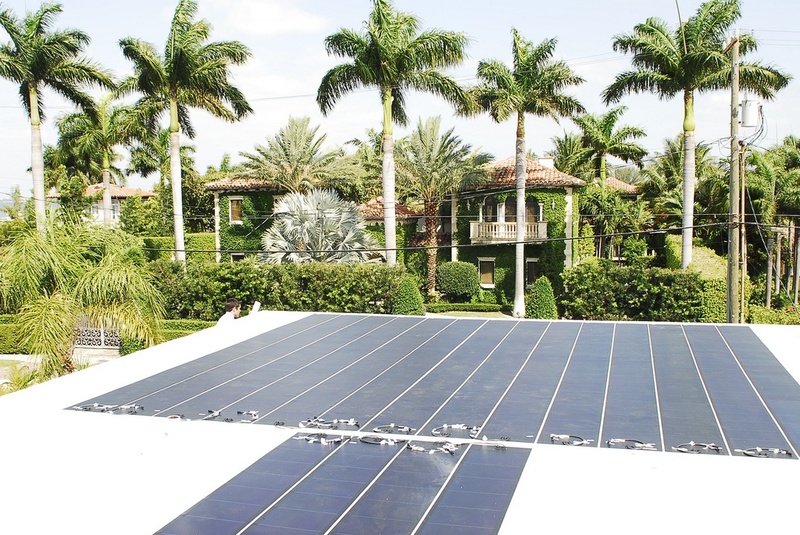 City Council recently approved new regulations that will allow residents to use solar-energy panels and sell excess energy to the municipally owned electric utility. Hamilton utility staff also is working to make the same opportunity available for businesses. Localized energy systems are more resilient than a traditional grid, and offer solutions to power outages around the world. Ben Paulos takes a look at microgrids, minigrids, and how Puerto Rico could get to 100% renewable energy. Most voters in a handful of swing states support transitioning to 100 percent renewable energy for their electricity needs, an environmental group found. The Greenberg Quinlan Rosner Research poll, conducted on behalf of the Sierra Club in Virginia, Pennsylvania, Ohio, Michigan and Colorado, shows that most respondents in each state would back a state policy mandating 100 percent renewable electricity from sources like wind and solar power. The support for the measures also grew in almost all of the states since similar polling last year. Luckily, solutions to the duck curve abound — all kinds of options for making the grid more flexible and softening the peaks and ramps. In part thanks to early warnings from energy modelers, utilities and grid operators are beginning to awaken to the issue and take steps to address it. The conversation, which I’ve edited for length and clarity, gets pretty energy-nerdy. But if you like puzzles, you’ll like this one. A full 75 percent of U.S. drivers now live in areas where it’s cleaner to drive an EV than a traditional car that gets 50 miles per gallon. Now, however, Mission of Mary is on its way to going solar thanks to RE-volv, a national nonprofit organization that is enlisting “solar ambassadors” at colleges to raise money to put solar on nonprofits, and creating a revolving seed fund to buy solar for more nonprofits in the future. “We were interested in solar from the get-go, then we realized with the help of the students at the University of Dayton we could get to total net-zero energy usage, if we did geothermal and an 11.5-kw solar system,” farm director Stephen Mackell said. On Monday, the Leonardo DiCaprio Foundation announced it would match RE-volv fundraising dollar for dollar for five projects, including Mission of Mary and a Madison, Wisconsin, organization called Project Home that does energy efficiency retrofits on lower-income homes. Under Trump’s proposed 2018 budget, the Department of Energy would have seen funding cut by 6 percent, along with programs such as the Advanced Research Projects Agency-Energy (ARPA-E) and the Advanced Technology Vehicle Manufacturing Loan Program being eliminated altogether. Instead, the bill passed last week increased the DOE budget over 2017, to $34.5 billion. Many programs, including ARPA-E, received more funding than in the previous year. The final text serves as a rebuke from legislators of the administration’s energy agenda and an endorsement of clean energy programs that have bipartisan support. It may serve as a signal to the industry that the administration’s repeated attempts to cut down energy advancement won’t be tolerated. There are lots of reasons to buy an electric vehicle these days, starting with their cost. A recent analysis found that running an EV is, on average, 2.3 times cheaper than operating a traditional gas vehicle. There’s always been some concern that, despite the environmental cred not pumping gas gives, EV buyers weren’t doing as much for the environment as they thought: if the electricity powering your car comes from coal, you’re still polluting, just from a power plant, not your tailpipe. But EVs continue to get more efficient and the electricity they use is becoming cleaner. Because the U.S. grid is switching away from coal-fired power to natural gas and renewables, the footprint of the electricity grid, and therefore your EV, is getting smaller all the time. This post originally published at ilsr.org. Follow the Institute for Local Self-Reliance on Twitter and Facebook and sign-up for ILSR’s newsletters. Nick Stumo-Langer was Communications Manager at ILSR working for all five initiatives. He ran ILSR's Facebook and Twitter profiles and builds relationships with reporters. He is an alumnus of St. Olaf College and animated by the concerns of monopoly power across our economy.